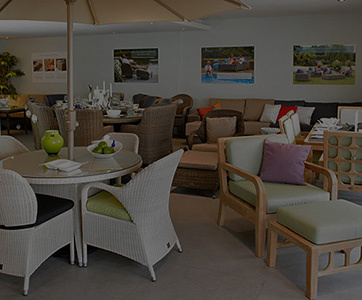 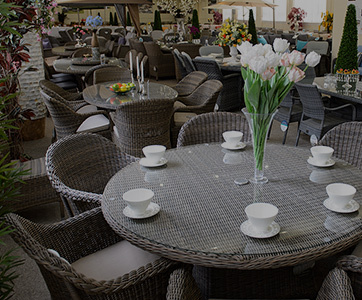 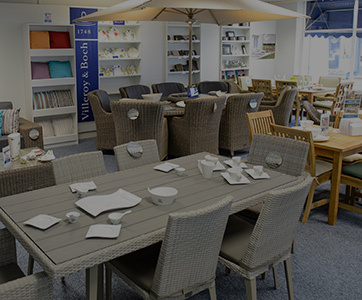 The Sussex collection of garden furniture gives you long-lasting function in a stunning form for you to enjoy year after year. 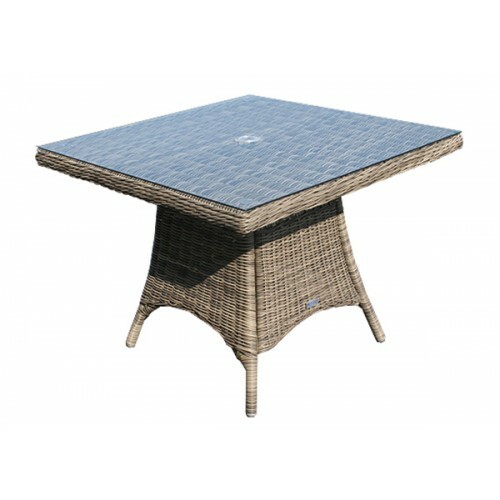 This 100cm Sussex square dining table is no exception and is the perfect solution for outdoor dining whatever your space. 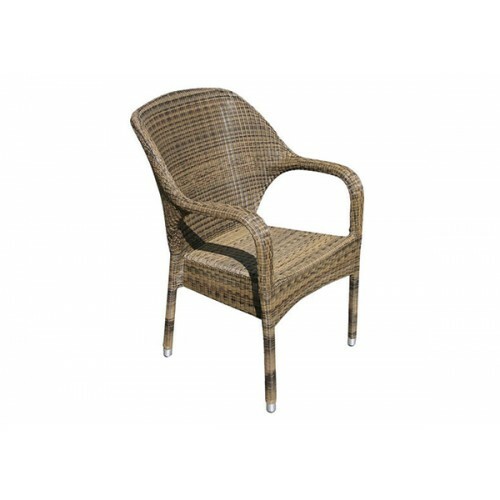 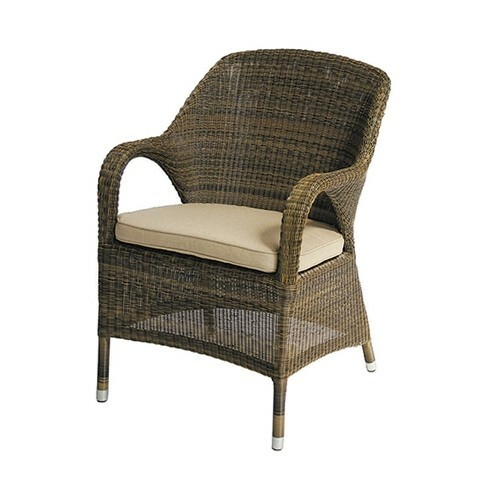 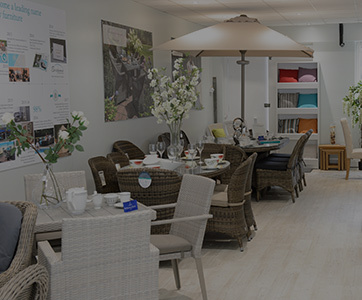 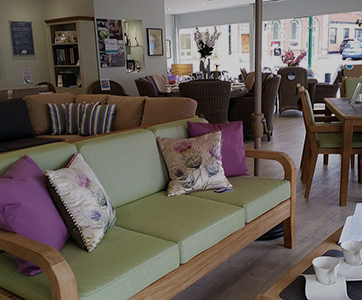 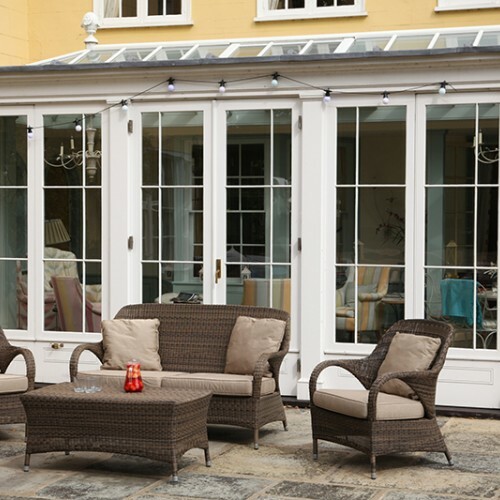 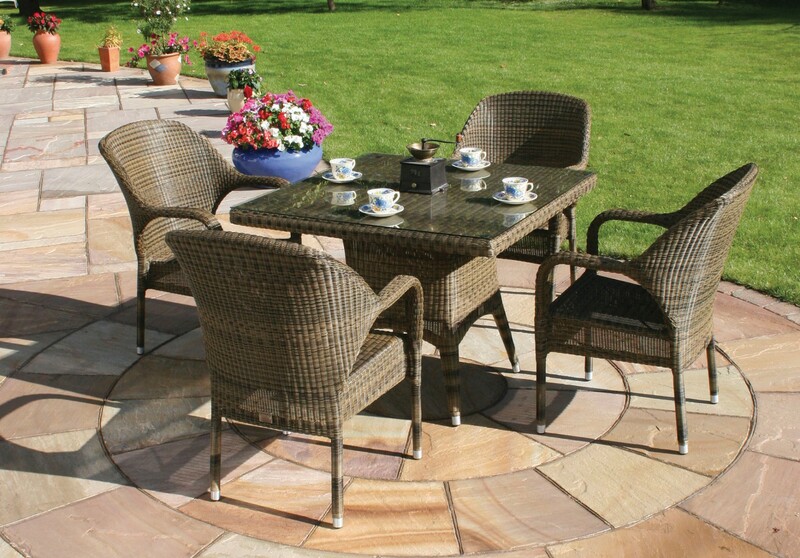 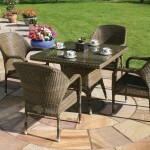 The compact size is ideal for adding a little luxury to smaller patios, courtyards or conservatories and can be combined with the matching Sussex dining chairs and Sussex armchairs are also available within this range. 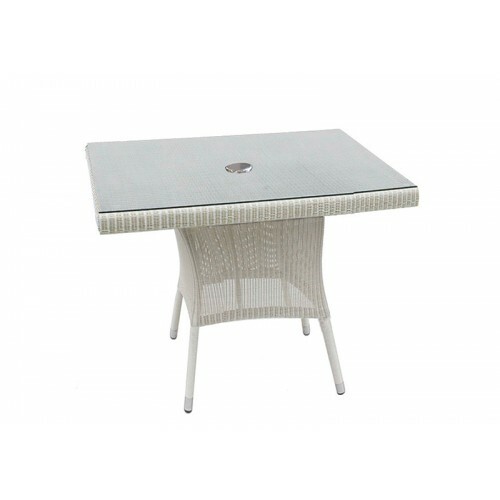 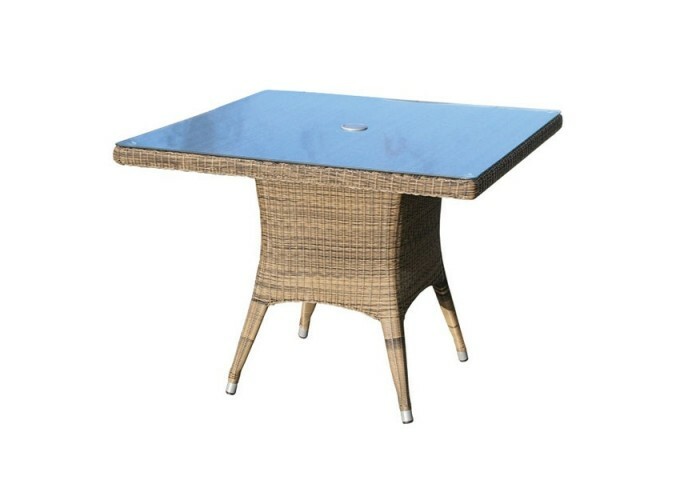 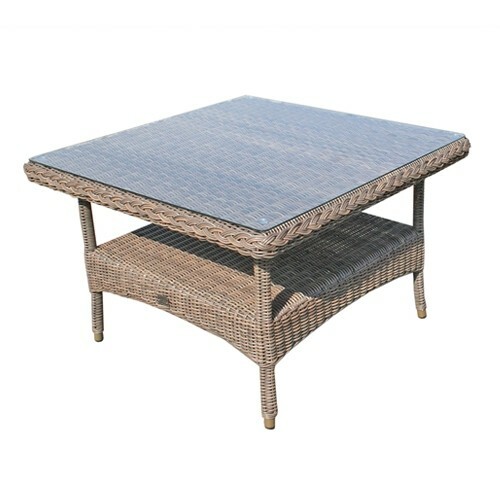 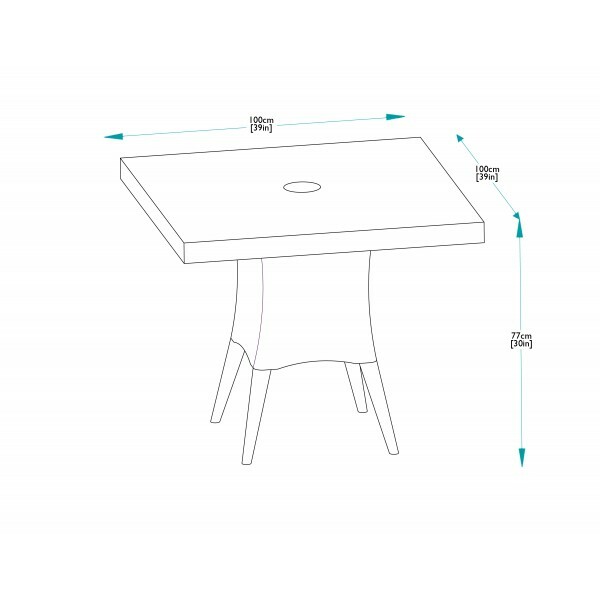 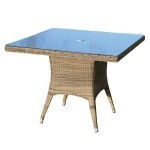 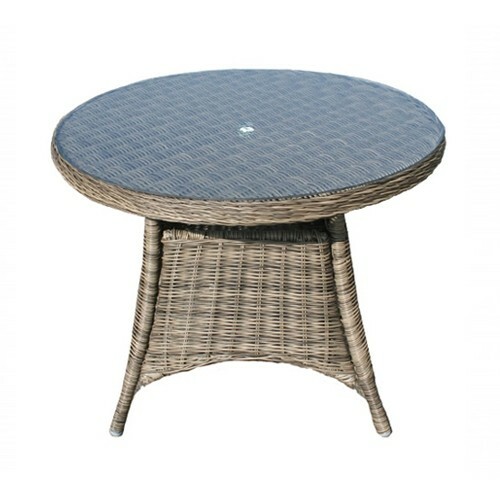 This table is beautifully built from tried and tested aluminium and rattan to achieve a high quality, all weather construction that is entirely maintenance free. 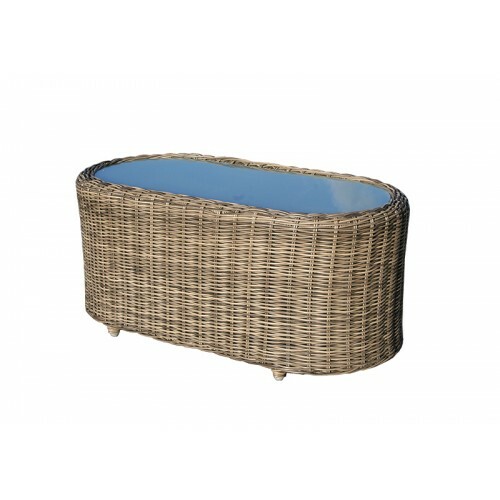 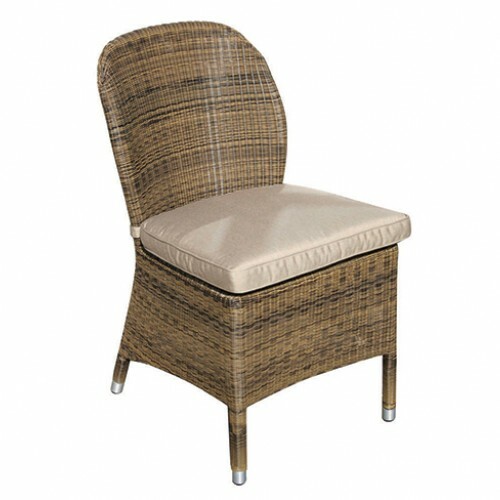 The multi-toned weave adds a stylish, natural-inspired touch that is very elegant. 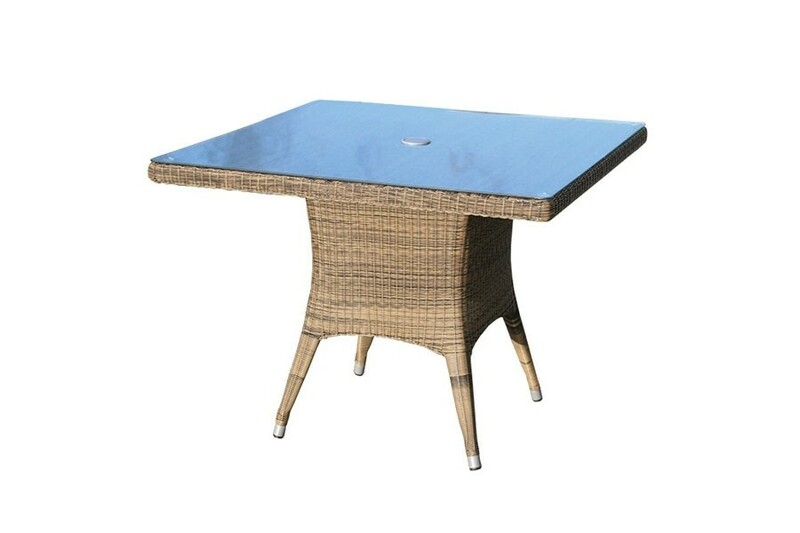 Completed with a tough sheet of safety glass, this table is exceptionally suited to endure the elements and years of use from top to bottom.